The Krewe of Mid-City braved spouts of heavy rain Sunday, Feb. 11 2018. The boutique crew marches through Uptown and features floats decorated with colorful tin foil (Claire Byun/cbyun@nolamessenger.com). 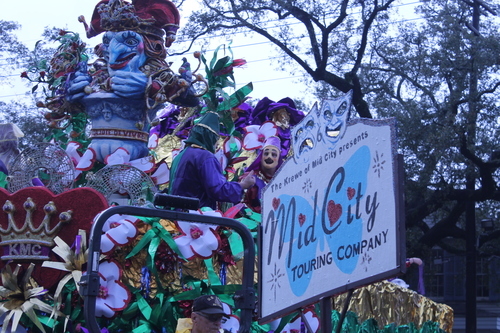 The Krewe of Mid-City rolled through Uptown on Sunday morning, catching a brief downpour but proceeding on undeterred. For the full photo gallery, see Claire Byun’s coverage at MidCityMessenger.com.